Beginning Monday, June 18, 2018, fees for the Community Services Department, including drop-in, membership and rentals fees at the Sonora Community Centre and Sun Bowl Arena will be increased 3.2%. This is in accordance to the Recreation Department Fees and Charges Amendment Bylaw. CLICK HERE to review the 3.2% CPI Adjustments. 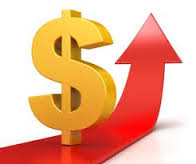 This increase is a result of the Consumer Price Index (CPI).